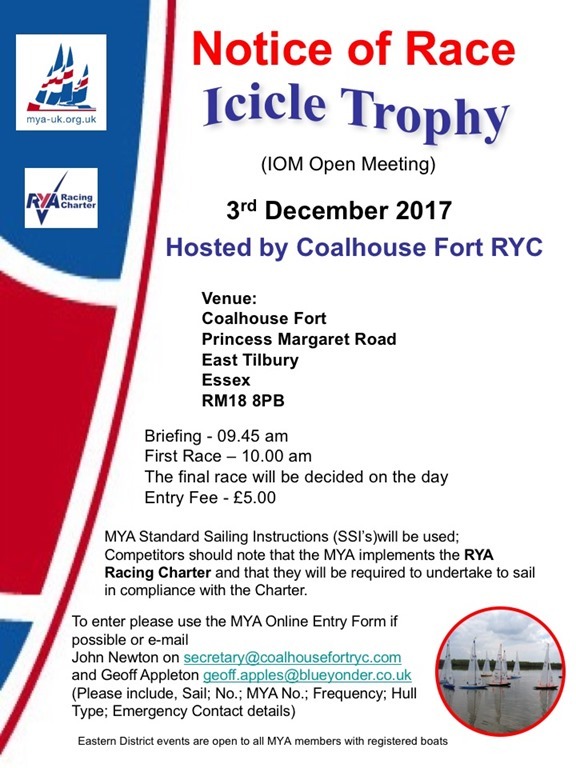 Coalhouse Fort RYC will be hosting the annual Icicle Trophy on Sunday 3rd December 2017 at their Coalhouse Fort, Princess Margaret Road, East Tilbury RM18 8PB. Please take car driving through the village and park on the grass on the left side opposite the car park. This event is open to all MYA Members with a certified IOM boat, and where possible members are requested to use the MYA Online Entry Form. Otherwise please email John Newton (secretary@coalhousefortryc.com) and Geoff Appleton (geoff.apples@blueyonder.co.uk) ensuring you include, Name; Sail No; MYA No. ; Club; Frequency; Hull Type and Emergency Contact name and Number. There will be a skippers briefing at 09:45 am with the first race shortly after. The final race will be decided on the day dependent on the prevailing conditions. 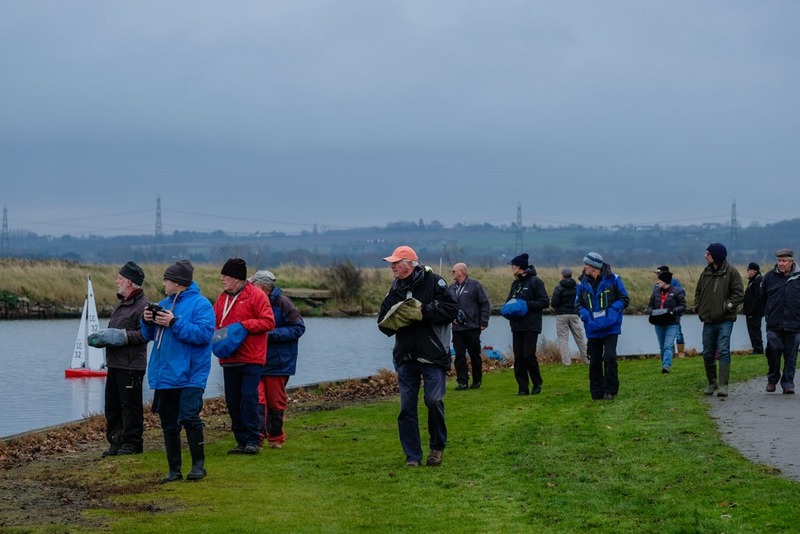 It was a pleasure to have a district AGM yesterday at Alton Water and have an attendance that went into double figures. We again have a full committee, welcome to Geoff Appleton as new Chairman, Malcolm Button returning as Vice-Chairman, Glenn Meekcoms as new District Councillor and Vinnie Zammit taking over as Racing Secretary from Henry Farley. Vinnie has at last enabled Henry to relax a bit more after all the years of sterling work he has put into the Eastern District. Alton Water Radio Sailing Club; Cambridge; Coalhouse Fort; Harwich & Dovercourt; Huntingdon; Lee Valley; Norwich; Southend; Woodbridge. Minutes of the AGM will be posted later. The MYA Eastern District has created a closed Facebook group to enable MYA members of the Eastern District to chat and comment on issues within the district. Please click on the link below to access and request access if you are a member of a MYA Eastern District Club. There is also an Eastern District Facebook Page which is a public page which can also be accessed. 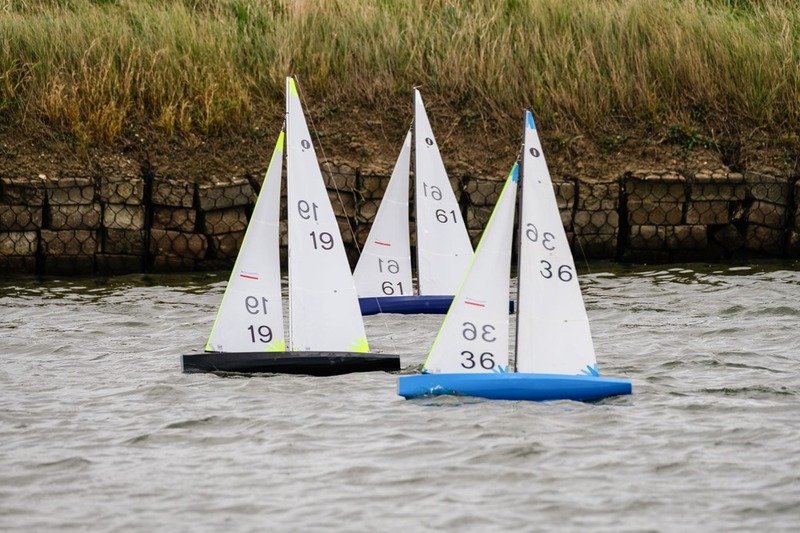 Following Round 6 of the Eastern District IOM Championship hosted by Coalhouse Fort RYC on Sunday 29th October 2017, please find below the updated positions. Although six events were scheduled, due to various reasons only four were completed and as such the best three were counted as per the rules. Therefore, congratulations to Colin Goodman as the overall winner with a 100% score, on 300 points, with Vernon Appleton second on 272 points and David Hope third on 233 points. We would like to take this opportunity to thank all the skippers who participated and the Clubs and their members who volunteered to host and manage each of the events. Let’s hope we see some more skippers taking part in more events in 2018 as it is a good opportunity to meet and sail against different skippers at different venues. 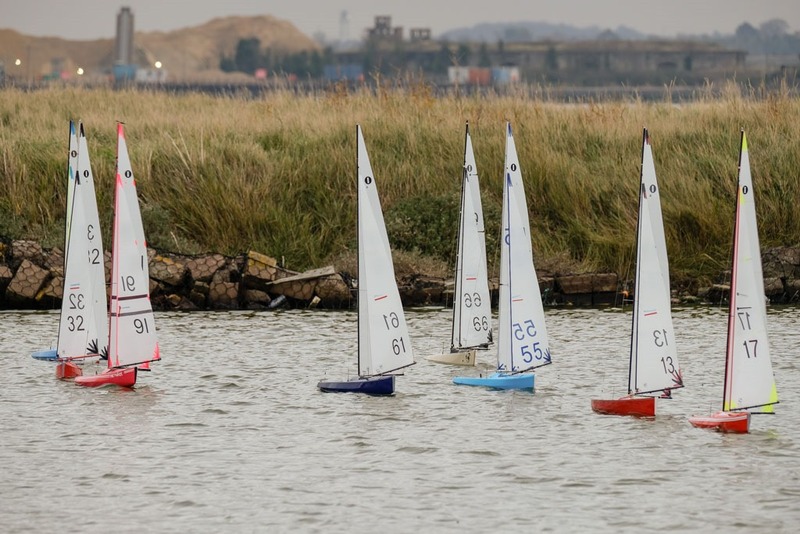 Sunday the 29th October 2017 saw Coalhouse Fort RYC host the Thames Cup and Round 6 of the Eastern District IOM Championship Series. 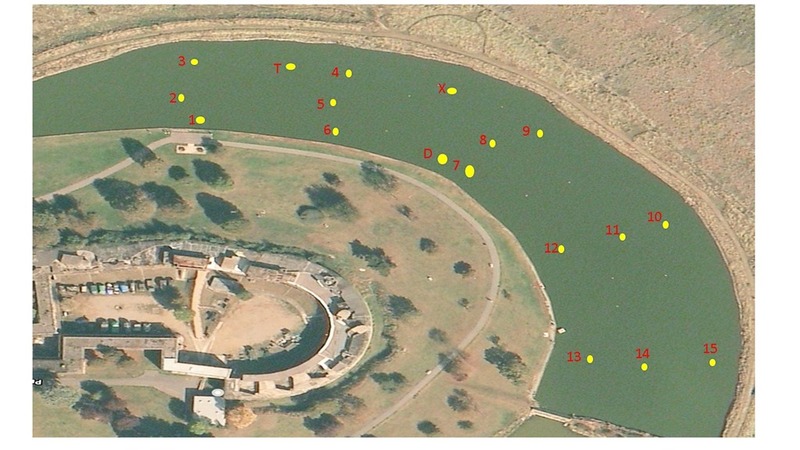 It initially was an overcast day with a good wind primarily from the North, and so Race Officer, John Newton, choose a windward/leeward course towards the north-middle of the lake, initially starting between marks D and 8; a beat to mark 5; downwind to mark 11; a beat back to 5; downwind to 11 and finish between marks D and 8. 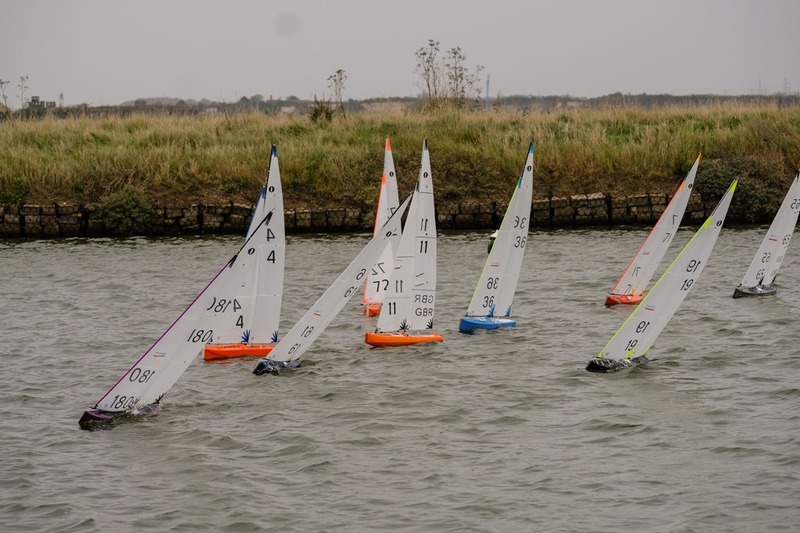 Part way through through the day the wind backed to North North West and so a minor change of course was set, starting between marks 7 and 8; a beat to mark 6; downwind to mark 11; back 6; downwind to 11 and finish between marks 7 and 8. Late in the day the wind veered back to the North and so the course was changed back to the original. It was a very good strong breeze from the North with skippers choosing to use No.1 Rigs initially, but as the day went on the wind backed to North North West and the strength increased, which Colin Goodman picked up on first and very quickly changed down to his No.2 Rig. Others continued to struggle with their No.1 Rigs but soon followed Colin’s lead, who had still managed to lead the fleet even on his No.2 Rig. However as the wind veered back to the Northerly direction it’s strength dropped and so various skippers changed back up to No.1 Rigs. 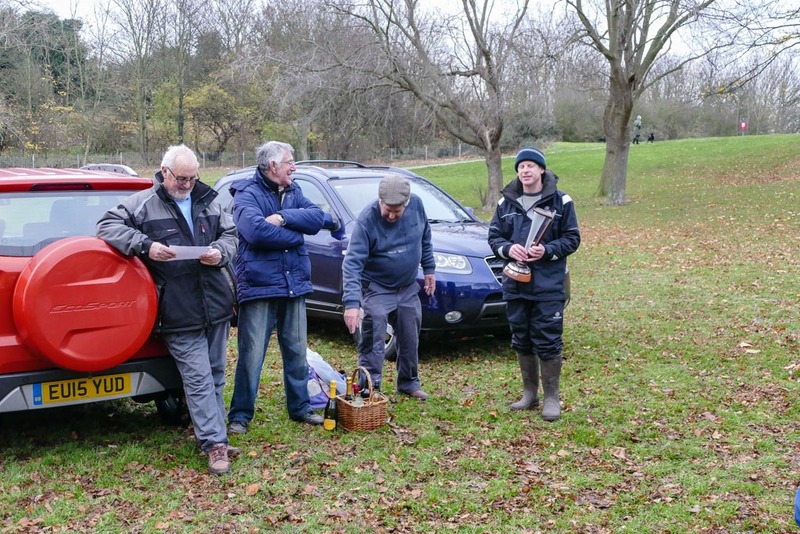 We welcomed two skippers from the Cambridge Club, David Perkins and Stuart Jessop who were attending their first Eastern District IOM event, together with Terry Wright from Coalhouse Fort RYC. Two skippers retired towards the end of the day, namely Jim La Roche with a wet receiver and Stuart Jessup. Although there were various protests, fortunately these were all settled on the water and we thank competitors for this. 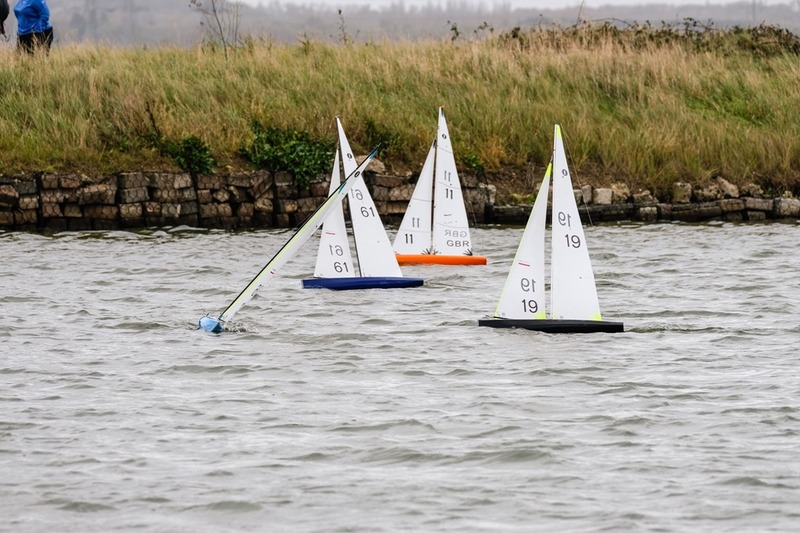 However, one issue that was highlighted at one point was that some skippers were not completing their penalty turns correctly, although once pointed out this was corrected. The Race Officer started the day with one fleet of 13 skippers completing the first race followed by a short break to allow skippers to make some minor rig tuning. Following that, back-to-back races were completed allowing a longer break in between, to permit Rig and course changes as necessary. As a consequence a total of 18 races were completed, of which Colin Goodman took 15 wins, in his inimitable style. Whilst Colin was out in front, there was some close racing between Vernon Appleton, Mark Dennis, Peter Crisp, David Hope and Dave Allinson. After 9 races, Vernon was second followed by Mark with Dave in fourth, but throughout the afternoon, Vernon maintained his consistency, while Mark struggled a bit as did Dave Allinson! This allowed Peter Crisp, who improved, to move up to fourth and David Hope fifth, demoting Dave Allinson to sixth. There was some really good racing and we thank all skippers for their behaviour throughout the day. We would also like to thank Malcolm Schaffer, Glenn Meekcoms, Henry Farley and Geoff Appleton for their help during the event, all of whom helped to allow the event to take place in what we hope was a friendly but competitive manner. Report and Results courtesy john Newton and Photos by Dave Sellens. 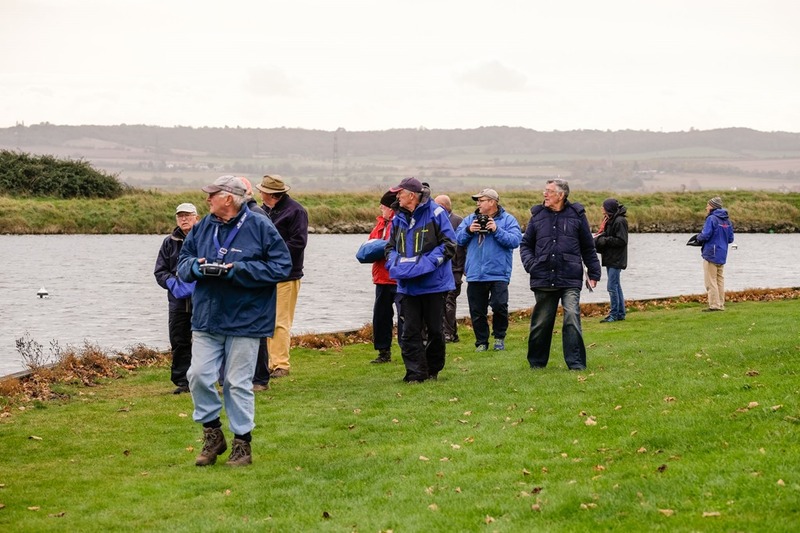 Anybody who is planning on attending the Eastern District AGM on Saturday 4th November 2017, is invited by Alton Water Radio Sailing Club, to bring a boat along and join them on Saturday afternoon. 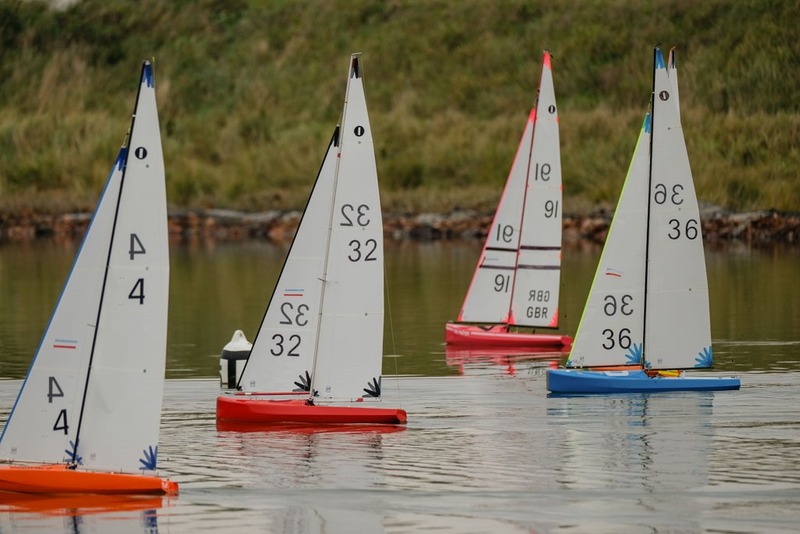 So why not take the opportunity to sail at this new Eastern District venue if you have not already done so! We look forward to seeing at least one Representative from each of the Eastern District clubs to get a representative view across the district. Also, we are still looking for nominations for the Committee positions, especially from the clubs in the northern part of the district!!! At the mini- roundabout at the George & Dragon Pub, turn right along Muckingford Road and take the second turning on the left, into Blue Anchor Lane, bear left into Church Road, and follow this into Station Road which will eventually lead into East Tilbury village as normal. Apologies for the inconvenience but this is beyond our control. Please find below, the latest positions in the Eastern District IOM Championship Series following the Norfolk Trophy and EDCS 5. 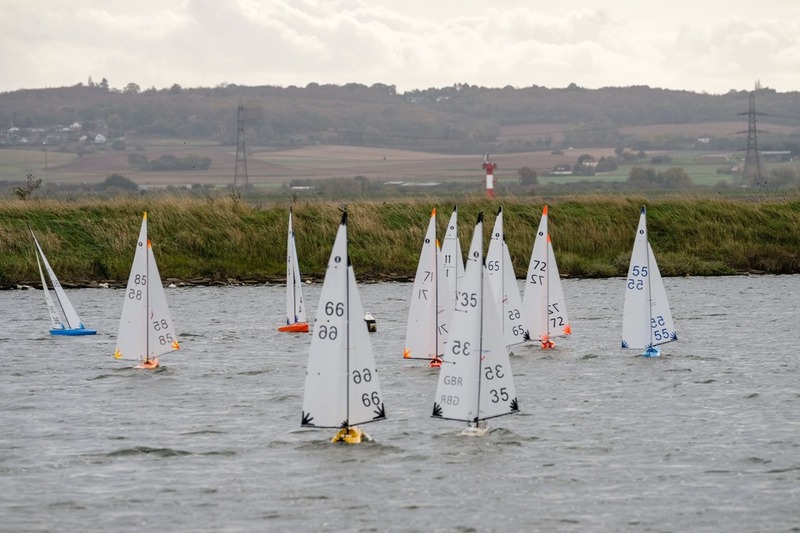 As stated 2 rounds have been cancelled, but the final round is the Thames Trophy and EDCS 6 hosted by Coalhouse Fort RYC on Sunday 29th October 2017.